Andy Street has urged the Government to give the West Midlands its share of a multi-billion pound funding pot to cure the region's chronic transport failures. The Tory West Midlands Mayor says inadequate transport systems across the region have held back economic growth, leaving roads 'choked with traffic' and communities 'blighted by pollution'. He has joined forces with his Greater Manchester Labour counterpart Andy Burnham to call on ministers to act on the recommendations of the National Infrastructure Commission (NIC). The body, which is led by Sir John Armitt, has called for extra investment of £43 billion in regional city transport across the country – including rail and rapid transit – by 2040. In a joint statement, the two mayors hailed the positive impact of devolution on their regions, but said they need 'greater powers' in order to 'accelerate the pace of change'. They said: "As mayors, we are working hard to deliver the revolution in transport, housing and employment for our people. "To achieve this, we need government to support us with further devolved powers and funding, particularly to transform our transport systems. "The respected National Infrastructure Commission’s recent report offered a blueprint to achieve this. "Now together as mayors of our respective city-regions, and regardless of our political allegiances, we believe the time is right to call on the Government to adopt their important recommendations without delay." The mayors said their regions' successes had put 'unsustainable pressure on our transport systems'. "Traffic and transport congestion is holding back growth and affecting the quality of life of our residents," they continued. "Our roads are choked with traffic and some of our communities are blighted by pollution. "As mayors we are taking action and have drawn up further plans to meet these challenges but we do not have all the powers we need to clean up our air and tackle the road and rail issues we face." They have called for greater control of the road network – enabling the coordination of roadworks – as well as the transfer of more budgets from Whitehall to the regions. The NIC had set out 'a clear and compelling approach to the transformation in infrastructure' required, they added, urging the Government to act on these recommendations to empower the regions. 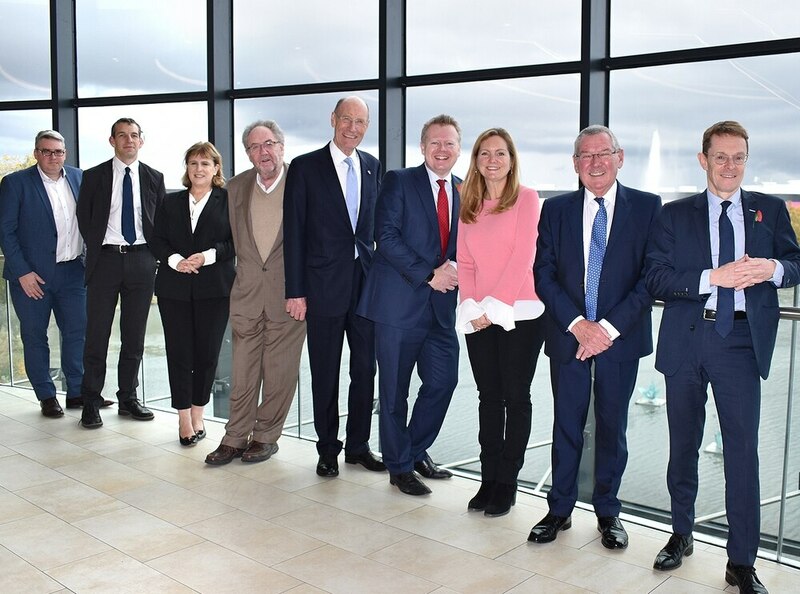 This week Mr Street met with Sir John Armitt and commissioner Julia Prescot in the West Midlands to discuss how the NIC recommendations could benefit the region. They visited a section of the Walsall to Wolverhampton corridor, which the Mayor wants to redevelop with new housing and transport links.